In-stock 15V 8A external AC 120 watt fully regulated power supply, with 15 volt, 8 amp DC output, double insulated. Hard to find external AC/DC Universal AC input, double insulated, regulated power supply, 8000 mA maximum. This is a compact, high quality, switchmode regulated power supply, 120 watts continuous. Close up showing the 2 prong IEC input connector. The unit comes with the power cord as priced. Output connector 5.5mm OD x 2.1 mm ID barrel connector. 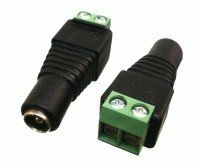 AC plug Removable IEC connector makes it easy to use international mains cords. 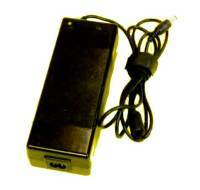 AWG Wire Universal input switchmode power supply with fixed 15 volt output voltage.